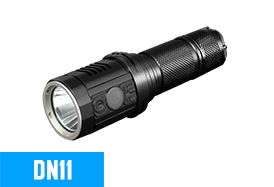 The IMALENT DN11 is a convenient compact palm-sized for pocket carry flashlight with built-in LCD display and battery can be charged by a build-in micro USB charger. 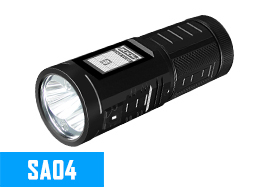 It supports 1pcs of 18650 Li-ion recharegeable battery or 2pcs of CR 123A disposable batteries. 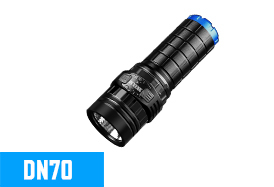 Utilizes latest CREE XPL HI LED with the lifespan of 50000 hours, maximum output of 1000 lumens with internal USB charging function.